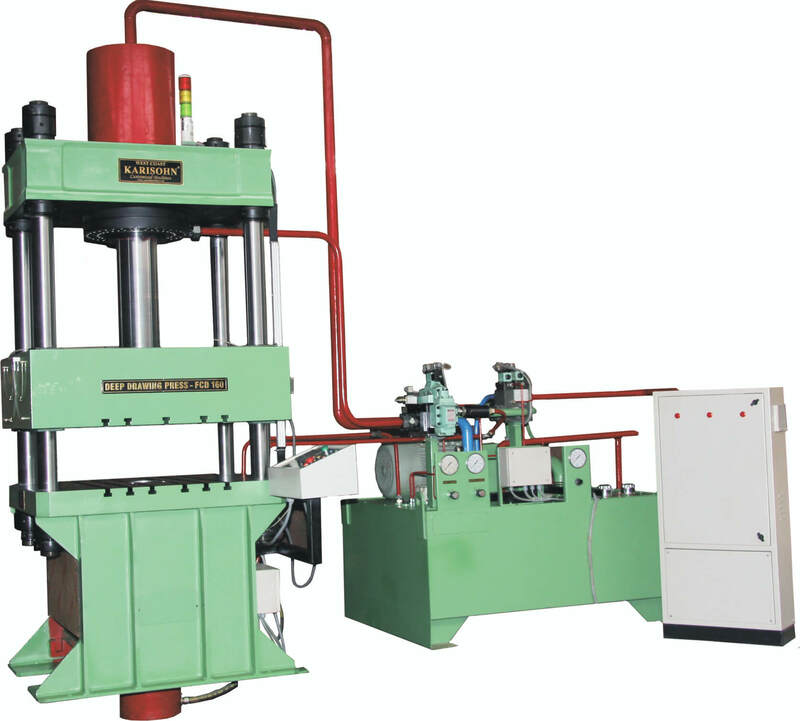 High Performance Hydraulic Press for Deep Drawing Operations. West Coast has Significant Domain Expertise into Special Purpose Machines, Hydraulic Presses, CNC Machine Tools, Boiler & Piping Machines , Testing Equipment , Reconditioning & Retrofitting, Precision Tool Room and Machining Services. Build to Latest Global Standards with Structural Designs Tested Using Finite Element Analysis. Internal Ground Cylinders With Additional Honing. Best in Class Parallelisum Between Precision Ground, Hand Scrapped and jig Bored Platens. Hardened, Ground & Chrome Plated Pillar Rods. Technology Driven Company Started in 1973, Working on the fields of Customize machineries. Coimbatore - 641034, South India.